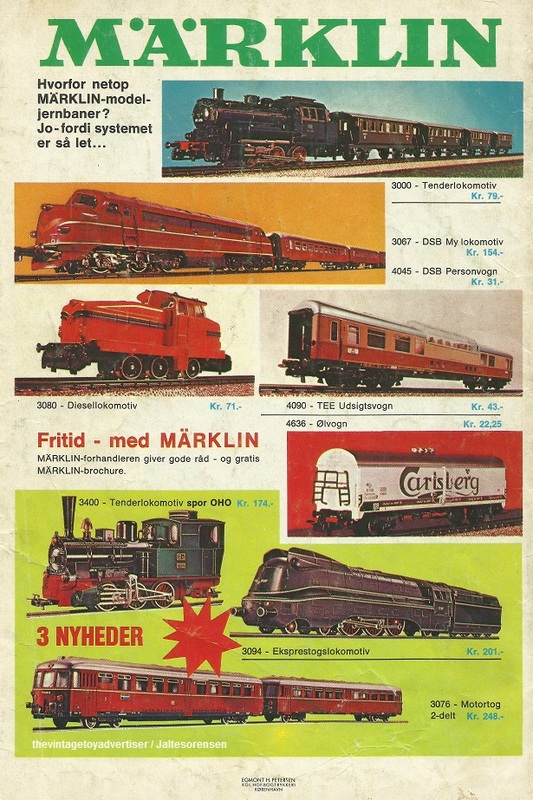 The Märklin company was founded in 1859 in Germany. 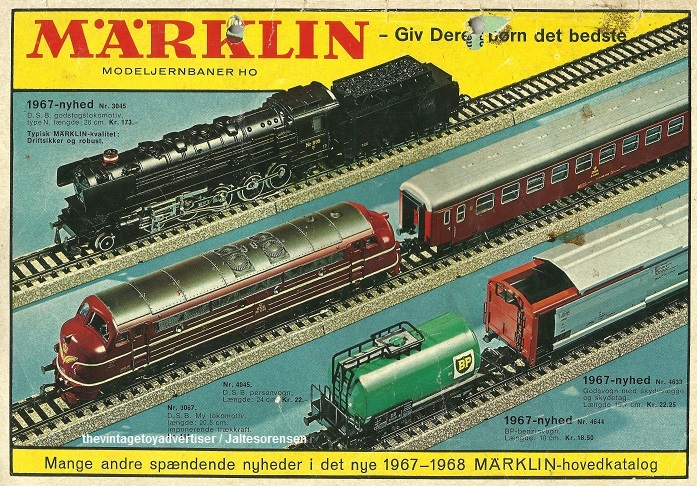 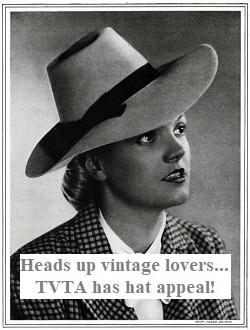 As well as specialising in model railways sets (see TVTA’s post Märklin trains), the company has produced doll house accessories, tin plate toys, construction sets and slot car racing sets. 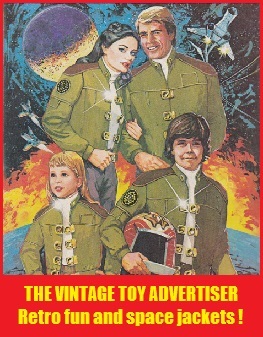 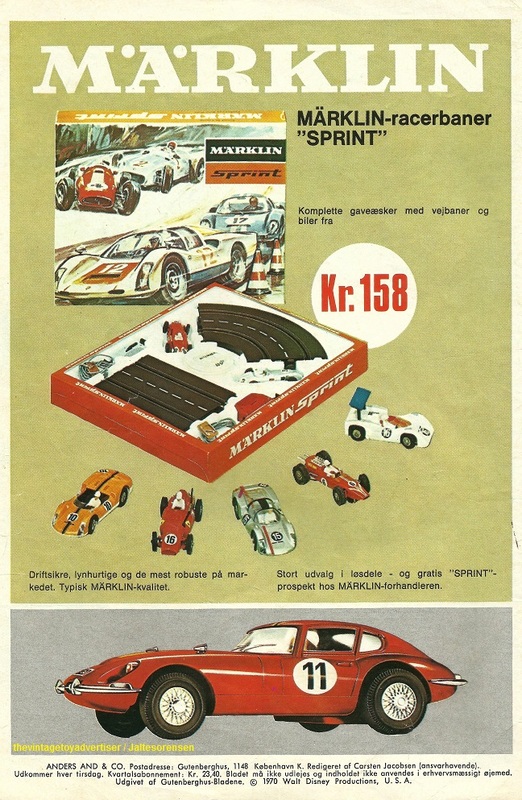 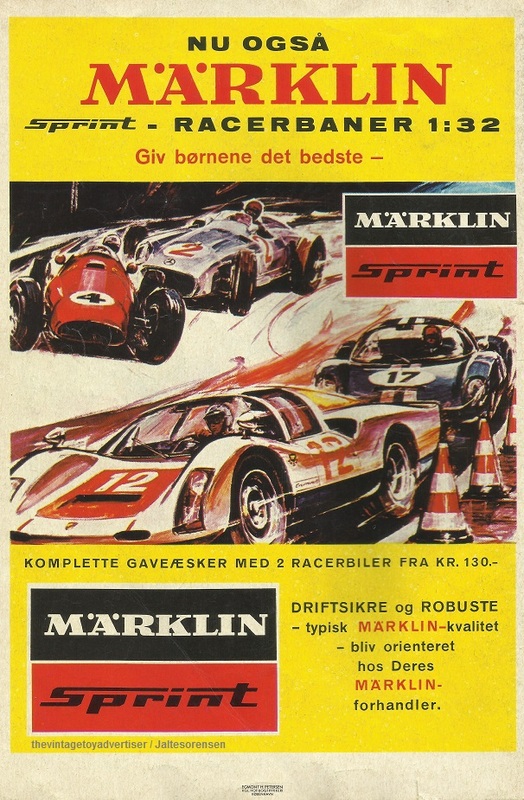 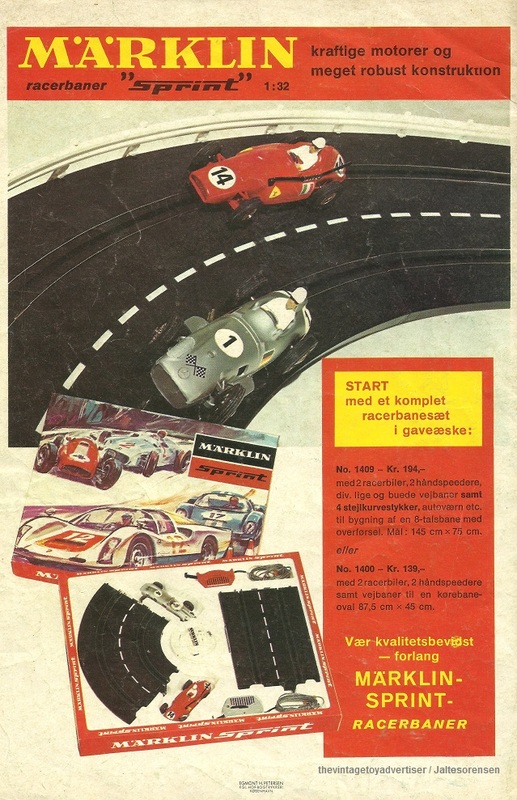 This entry was posted in MÄRKLIN and tagged 1980s train sets, Maerklin train sets, Marklin Sprint slot car racing, Märklin Trains, model trains 1970s, retro, vintage advertisements, vintage slot cars, vintage toys, vintage train sets on August 4, 2017 by The Vintage Toy Advertiser.